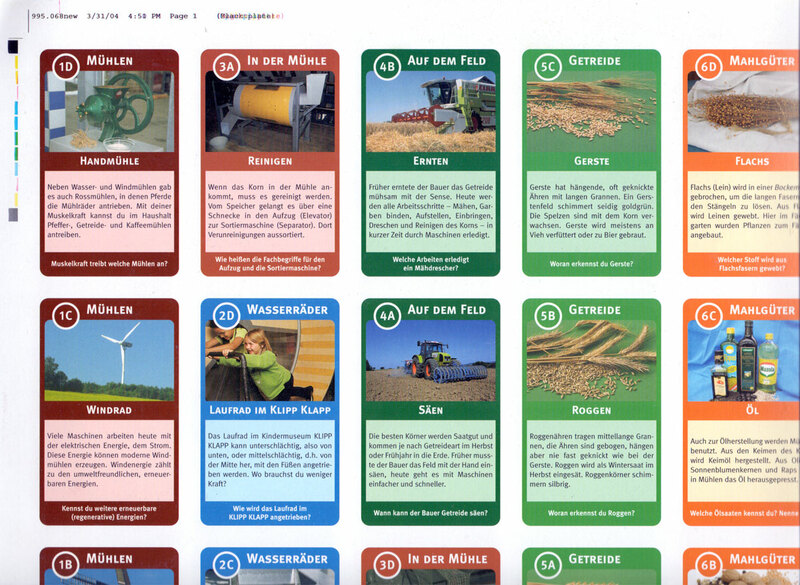 An educational card game “Klipp Klapp Karten” printed by KZWP-Trefl (Poland) for Kindermuseum Oelde (The Children’s Museum in Oelde, Germany) in 2004 showing aspects of farming, the seasons, cereals etc. 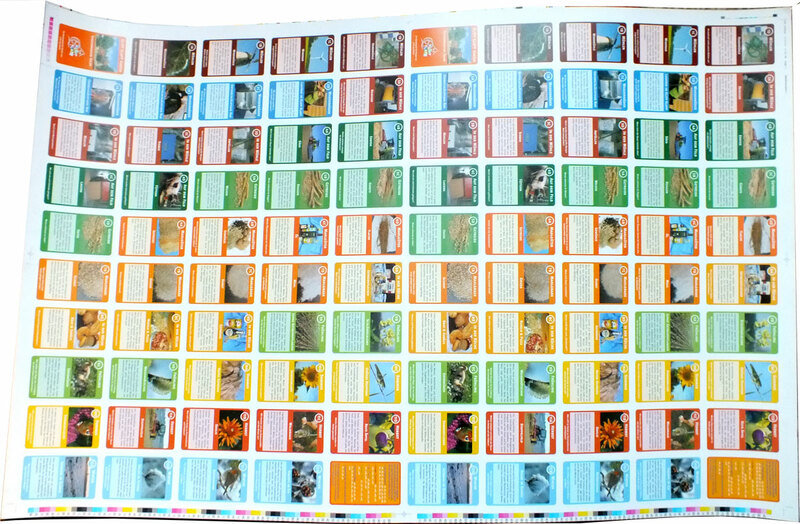 Above: detail from uncut sheet of “Klipp Klapp Karten” printed by KZWP-Trefl (Poland) for Kindermuseum Oelde (Germany) in 2004 showing aspects of farming, the seasons, cereals etc. 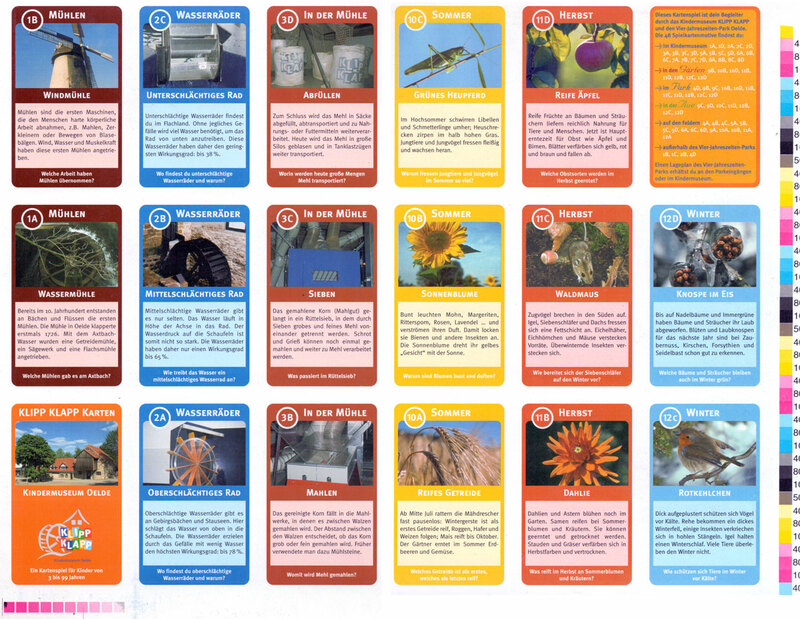 The entire sheet contains two sets of 48 cards + 2 extra cards in each set. • Das Kindermuseum KLIPP KLAPP website. 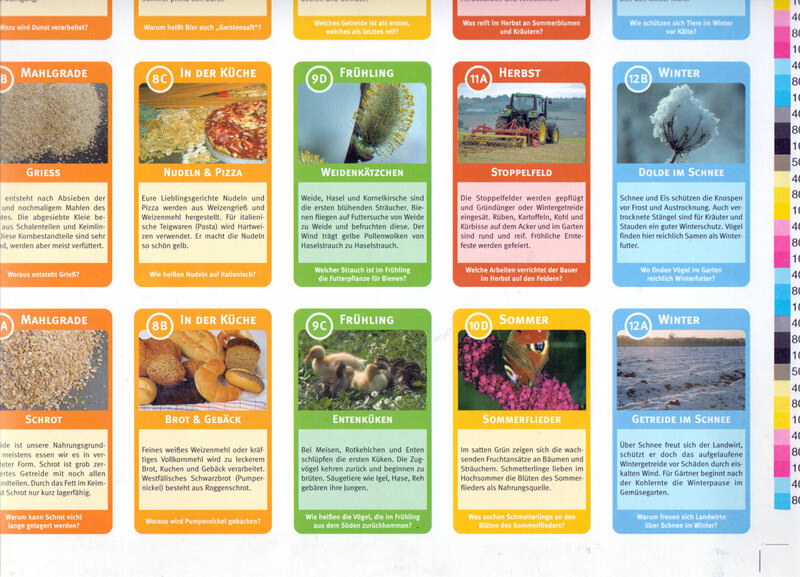 Above: details from uncut sheet of “Klipp Klapp Karten” printed by KZWP-Trefl (Poland) for Kindermuseum Oelde (Germany) in 2004 showing aspects of farming, the seasons, cereals etc.